Whenever Rising Damp is diagnosed, it is important to have the condition correctly treated, as failure to do so can cause damage and devaluation to any property. It is not sufficient to simply cover up the problem with a special paint or coating in the hope that the problem will go away. Only by preventing the dampness rising up the wall in the first place can rising dampness be adequately controlled. Up until now, the most widely employed method of achieving this has been to inject water-repellent fluids into the wall under pressure. Although this method has proven to be effective, it is known to have a number of disadvantages; for example, it introduces large amounts of liquid carrier into the wall, prolonging the drying out period. The process is also very slow and operator dependent. 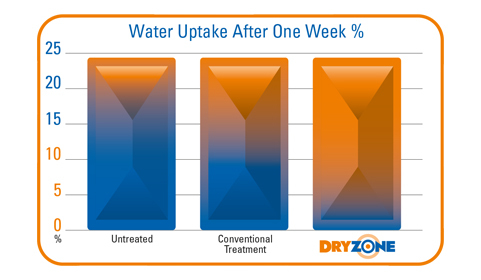 Dryzone is a revolutionary new material for the control of rising damp. Dryzone comes in the form of a water-repellent cream packed in a 600ml foil cartridge to minimise environmental impact. 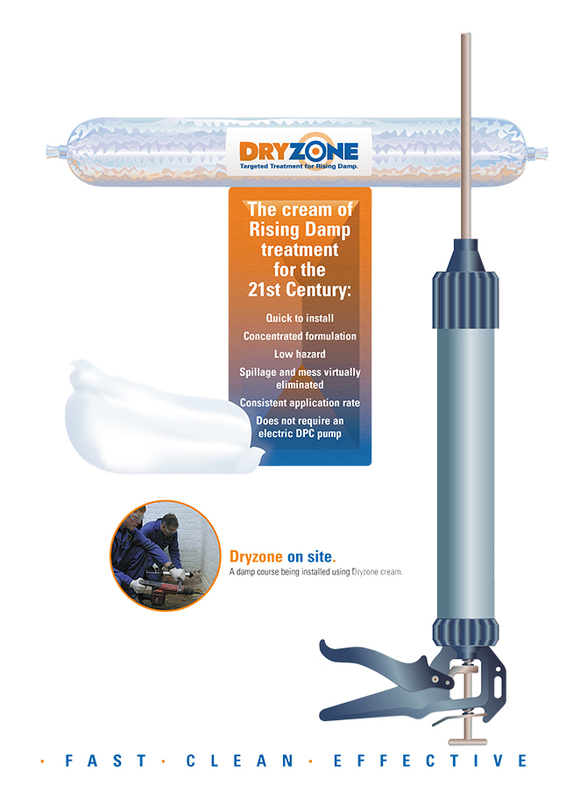 The Dryzone cream is introduced by means of a simple applicator gun into a series of holes drilled into the mortar course. 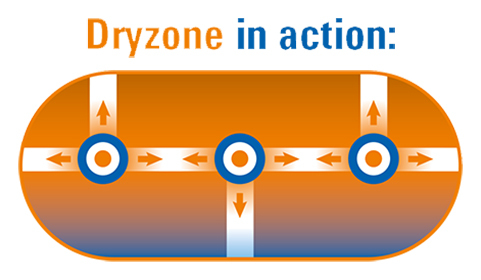 Once the Dryzone is installed, it uses the moisture contained in the damp wall to diffuse where it is most needed before curing to form a waterrepellent resin. Quick to install - no "double drilling", no waiting for fluid to soak in under pressure. Easy to install - less scope for operator error Concentrated formulation (over 60% active ingredient) - does not introduce large volumes of liquid carrier into the wall. Low hazard - non-caustic, non-flammable not injected under pressure. Spillage and mess virtually eliminated - no problems with fluid flooding through party walls. Consistent application rate - easy to estimate the amount of material that will be required. Does not require an electric DPC pump - can be used in situations where power is not available.